From hair stylist extraordinaire Jen Atkin, OUAI Haircare is the secret to that enviable, ‘French girl’ tousled texture. Like a trip to rehab for your scalp and skin, this deep cleansing, foaming scrub is perfect for a weekly detox, powered by gently exfoliating sugar crystals to cleanse, soften and remove impurities, plus a dose of probiotics to leave your skin’s natural defences on high alert. Totally on-trend, snap up this multi-tasking scrub and discover the benefits of the ‘skinification’ of hair care. 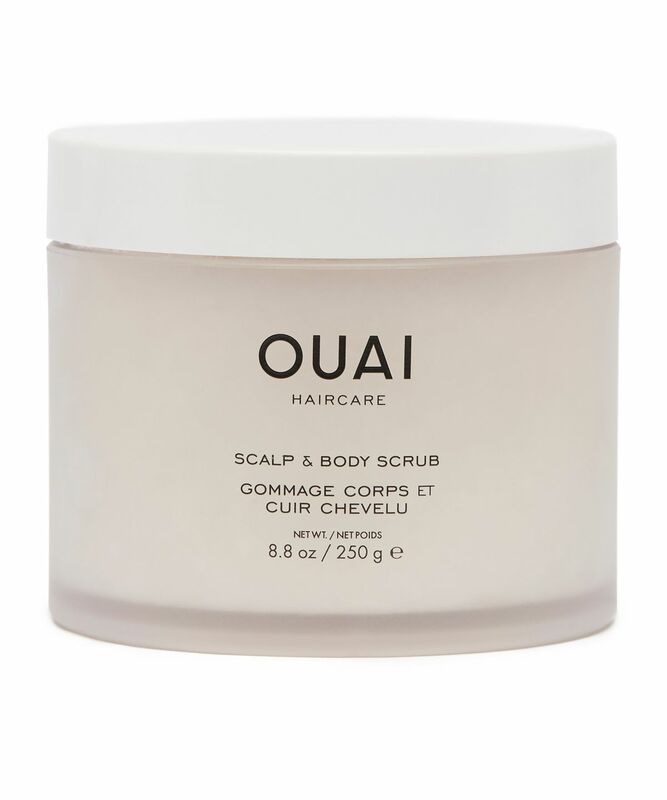 The perfect reset for scalp and skin alike, OUAI Haircare’s Scalp & Body Scrub is the ultimate weekly detox (did someone say self-care Sunday..?) Deep cleansing and gently foaming, the scrub is powered by gently exfoliating sugar crystals which cleanse and soften skin, alongside a dose of probiotics, which leave your skin’s natural defences on high alert, and conditioning coconut oil to replenish moisture. For even deeper scalp cleansing, Jen Atkin’s top tip is to add a small amount of your favourite OUAI shampoo to this superb scrub. Scalp: Section wet hair to reveal scalp and massage in circular motions to gently exfoliate. Rinse. Body: Apply to damp skin and massage in circular motions to gently exfoliate. Rinse. Need even deeper cleansing? Add a small amount of your favourite OUAI shampoo to the Scalp & Body Scrub for squeaky clean hair. I did not even think you can use scrub for the hair, but now i can not imagine my life without it. Started having dry and itchy scalp, thought might be allergic to a new shampoo I bought and saw on Huda Beaty blog about this product, as I tend to believe everything she recommends went and bought it. Though in my opinion £32 for a scrub is a bit too much :) Now i say: it worth every penny. 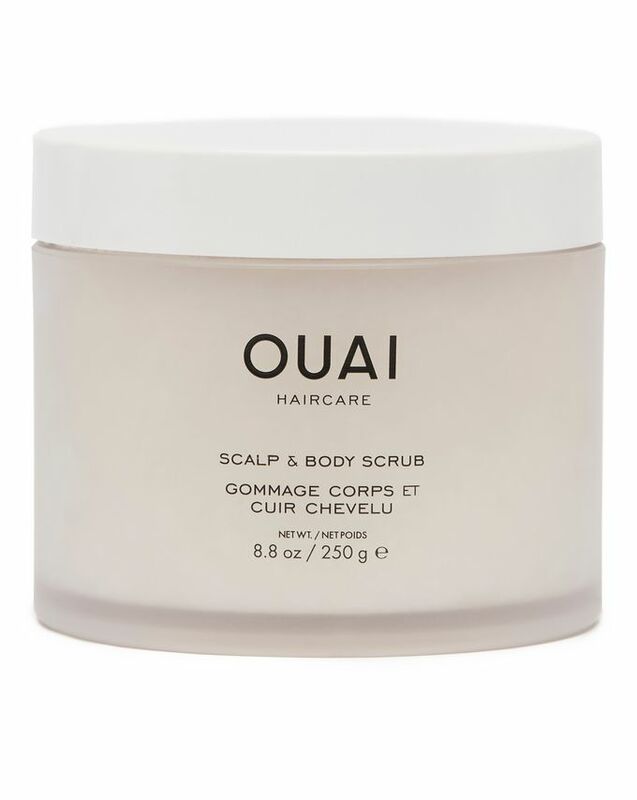 After the first use, scalp stopped itching, hair feels silky (well in combine with OUAI shampoo) and in general scalp and hair feels more healthy. I have very long hair and always struggle to find good products. Now I am in team OUAI forever! Amazing product leaves your skin feeling like silk and smells so good. Don't really enjoy using it for my hair as it kinda dried my scalp out. For reference, I normally use the Kerastase revitalising shampoo which is more oil based and enriched, so I think the reason I didn't enjoy this is simply because it is very different to what I'm used to. That being said this is AMAZING as a body scrub - left my skin feeling super soft and moisturised. It also made me fall back in love with the fragrance (so much so that I bought the Melrose Place perfume as well). Will definitely be stocking up once its back in stock.